“My path to writing full time has been circuitous,” says Claire, who has worked in advertising, HR and several business ventures over the years. “It was a continuing education class at the University of Dundee led by tutor Esther Read that gave me the impetus to take my writing further,” she continues. But it was studying for an MLitt that gave Claire the confidence to try writing a novel. 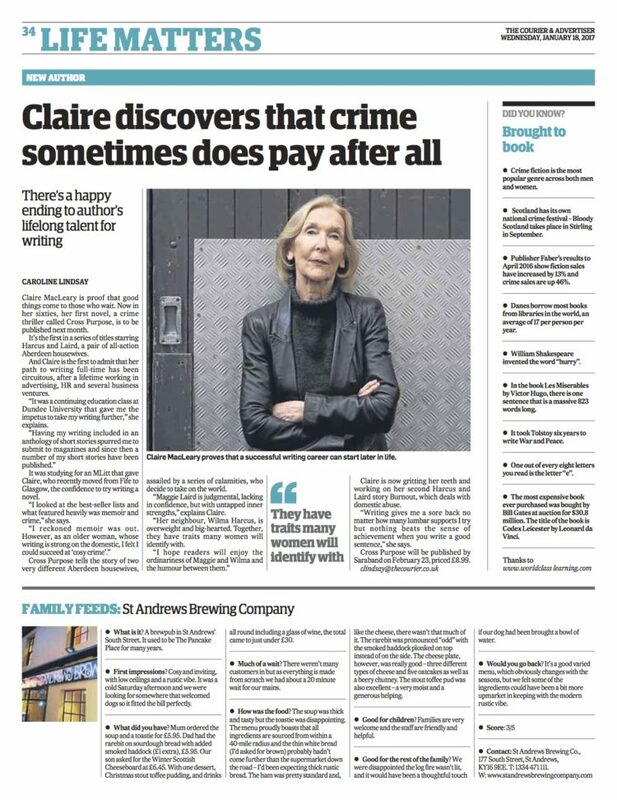 “I looked at the best-seller lists and what featured heavily was memoir and crime,” says Claire, explaining her choice of genre for her debut novel. “ I reckoned memoir was out. However, as an older woman, whose writing is strong on the domestic, I felt I could succeed at ‘cosy crime’. Cross Purpose tells the story of two very different Aberdeen housewives, who are assailed by a series of calamities and, together, decide to take on the world. 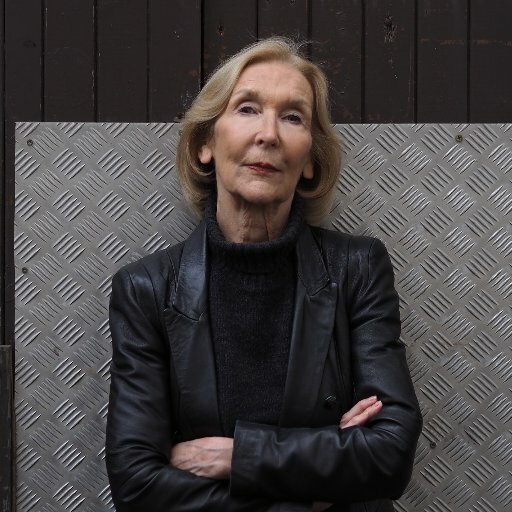 “Maggie Laird is judgemental, lacking in confidence, but with untapped inner strengths,” explains Claire, whose literary heroes include Checkhov, William Boyd, PD James and William McIlvanney. “Her neighbour, Wilma Harcus, is overweight and big-hearted. Together, they have traits many women will identify with,” she continues. Claire is now working on her second Harcus and Laird story. Called Burnout, it deals with domestic abuse.